Each auction season the major auction houses are deluged with submissions earlier than the last, making it imperative to place even the highest quality artworks well in advance of upcoming auctions. If you are considering selling a work or collection of modern, impressionist, post-war, or contemporary art at Christie’s, Sotheby’s, Phillips, or Bonhams this Spring, now is the time to submit your works for estimates of value, negotiation, and ultimate sale. We examine your work or collection and provide price estimates to give you an objective assessment of the potential return on your investment. After valuing your collection, we determine which artworks will be best sold privately and which will be best sold at auction. For works placed at auction, we guide you to the ideal venue for your sale, based upon the house’s respective potential for achieving your goals. We serve as your liaison to the auction house, advocating on your behalf to secure more beneficial sales terms than otherwise regularly received, including advantageous financial arrangements, stronger legal agreements, and a superior marketing effort. If desired, we can arrange financing in advance of your sale and/or derive a guarantee for the price for your work or collection, whether it is sold privately or at auction. As part of our negotiations, we work to achieve the best marketing effort for your work or collection, including but not limited to catalogue placement, lot positioning, and advertising. According to a recent New York Times article the New York Court of Appeals has decided to review a recent ruling that could force the state’s auction industry to end its longstanding practice of keeping sellers’ names anonymous. ArtAssure’s services provide total anonymity when selling privately or at auction. Though these services complement each other, all may be tailored to your specific goals. We encourage you to contact us by telephone (212-288-8860) or email (info@artassure.com) with your inquiries. While capital markets remain stressed, prices in the art market have advanced steadily. With growing global wealth and the emergence of new private and institutional buyers, demand for art should continue to increase. Since 1985, the AMR Art 100 index has provided an average annual return of 10 percent. In the same period the MSCI world has returned an average annual return of 5.9 percent. It is worth pointing out that the higher returns also come with lower volatility. While the AMR Art 100 has an annual volatility rate of 12 percent, the MSCI World Index had a volatility rate of 16 percent. 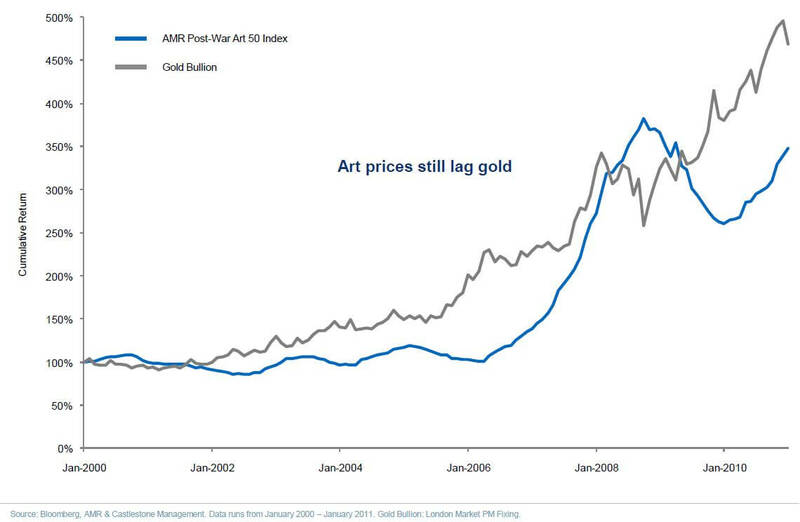 But fine art as an asset class offers several further attractive characteristics, including generally low correlation with other assets, such as stocks, bonds and gold. 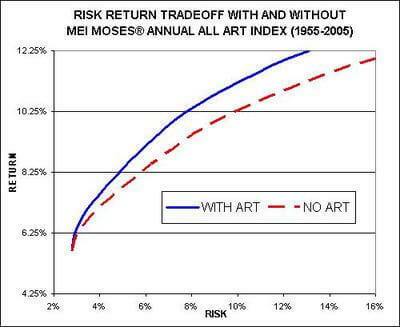 This low correlation makes art an excellent tool for portfolio diversification. Additionally, given current concerns over high government indebtedness and loose monetary policy, art can provide inflation protection as a tangible real asset, and has shown it can perform better in an inflationary environment than equities. It is a private asset, generally quiet and is not interfered with by governments. The average annual return of the DJIA from 2007 to 2012 was 1.03%, with a Standard Deviation of 17.3. The average annual return of the S&P 500 from 2007 to 2012 was 4.68%, with a standard deviation of 22.15. The average annaul return on Gold from 2007 to 2012 was 17.94%, with a standard deviation of 12.5. Demand for art will continue to rise as investment in museum-quality works prove to be more resistant to economic downturns than traditional investment products. 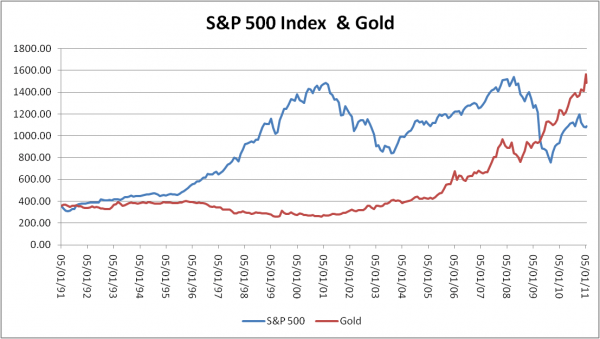 Real assets such as gold outperform financial assets in periods of economic downturn. Art has shown similar characteristics and performances. 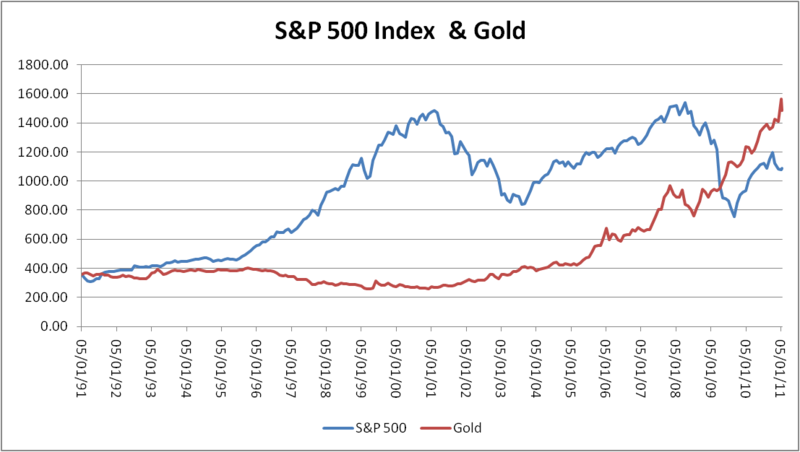 Art and fold, two real asset classes, are expected to out perform financial assets in the upcoming decade. However, art is unique in allowing investors to diversify their portfolio. With prices low and an upward trend strongly anticipated, it is an ideal tiem to begin to diversify. Art can improve the efficient frontier, the lowest possible level of risk for the highest possible level of return, of a diversified investment portfolio. Because art is not closely correlated to financial assets, diversifying with art has strengthened portfolios over the past decade. The recent economic crisis caused the art bubble to burst in November 2008. While astronomical prices for art had been achieved during 2006 to 2008, the art market is currently stabilizing at 2004 to 2005 prices, which are approximately 30% lower than 2007 prices. This decline in the price of masterpieces has shifted the power from sellers to buyers. Modern art is currently the heart of the global art market. It is the densest (10 times the Old Masters segment in terms of volume) and most profitable segment. 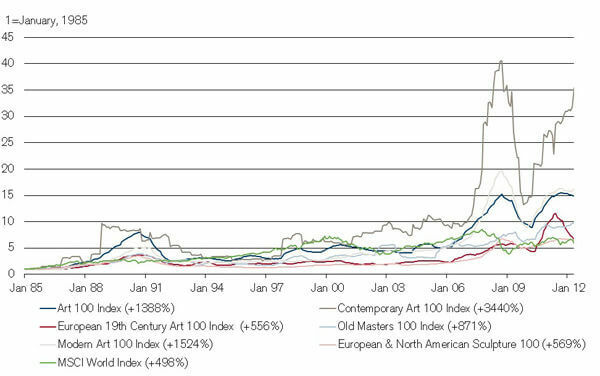 2011 was the best of the decade for the sale of modern works with particularly strong demand (more than 164,000 works sold, a record for the decade) and an outstanding revenue total of $6.067 billion, representing 52.4% of total global art auction revenue (all artistic periods combined). In 2011, the revenue from Modern art was up $1.218 billion versus 2010 which was itself a record year. The number of contemporary works of art sold at auction has more than tripled over the decade. In 2011, more than 41,000 Contemporary works sold worldwide, a record number which generated a revenue total of over $1.26 billion compared with $87.7 million in 2001. Contemporary art certainly has the wind in its sails, but it has not become unaffordable since 62% of Contemporary works sold for less than $5,000 in 2011. However, prices are rising and the market’s high-end accounts for an increasingly large share of the total Contemporary art market. In fact 2011 was marked by no fewer than 1,879 bids above $100,000, five hundred more than in 2010. The positive performance and growth of the global art market in the last 10 years have coincided with a dramatic increase in the global High Net Worth Individual (HNWI) population, which was estimated to be 7.2 million in 2000 and has increased by 51% to 10.9 million in 2010. With art investment accounting for 22% of HNWIs’ investments of passion, it is likely that the art market will continue to grow in line with the global population growth of HNWI. The price of art is expected to rise, taking into account the shortage of supply of relevant art and the future increase in buying power, resulting from the economic recovery. The growth of the art market and its infrastructure in the last 10 years is fueling an increasing interest in art as an asset class, which means we now can start talking about the early stages of an art finance industry, in which ArtAssure is a pioneer. To further discuss our art-backed financial services please call 212-288-8858 or email info@artassure.com. According to a recent New York Times article the New York Court of Appeals has decided to review a recent ruling that could force the state’s auction industry to end its longstanding practice of keeping sellers’ names anonymous. For more information about how ArtAssure’s services can provide you total anonymity when selling privately or at auction, please call 212-288-8860, email info@artassure.com, or submit an inquiry through the contact form. To read the COMPLAINT filed against Sidney Tenoudji, please visit here. To read the FIRST NOTICE for DISCOVERY and INSPECTION, please visit here.